Segways add sparkle to every event! Bring your people to The Wheel for the most inspiring of occasions. 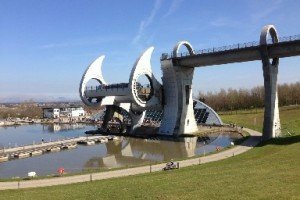 The setting is special, the backdrop of The Falkirk Wheel amazing and working alongside Scottish Canals, we will create a corporate package to enthral. 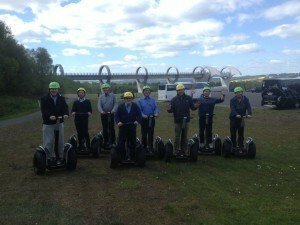 Arrive at The Falkirk Wheel for coffee and fresh pastries, then build up the energy levels with a fun off-road Segway glide up to the Antonine Fort on our Safari tour. Hire a narrow boat for the afternoon and enjoy lunch and some refreshments on-board, then sit back and relax while you ride The Falkirk Wheel, a perfect backdrop for your business meeting or corporate day out. This is surely a corporate hospitality venue like no other! Bring Segways to your people with The Scottish Segway centre On Tour! 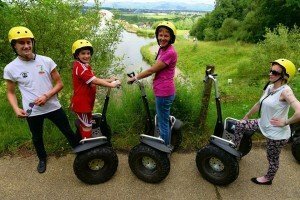 Let us bring the fun to you with our fleet of incredible Segways and our friendly, professional guides. 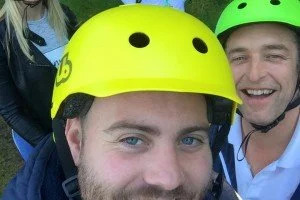 We’re masters at tailoring the Segway experience into conferences, stag or hen doo’s, festivals, shows or promotions to give glitter and SMILES to everyone.